Pope Francis’ long-awaited encyclical Laudato Si’, subtitled On care for our common home, has been praised by groups as diverse as scientists, anti-poverty and climate justice organizations and governments, as well as by the Dalai Lama and other religious leaders. The encyclical was released to all Catholic bishops in May 2015 and can be read in full at w2.vatican.va It is an astonishing document. As we might expect, it puts forward a strong moral defence for saving Creation. Climate-change mitigation has become a mainstream ethical response to the myriad assaults on life on Earth. The encyclical points to the growing inequality of wealth and wellbeing as a major contributor to poverty and an increasing source of concern in the fight for justice and care for our only home. “The earth”, the Pope reminds us, “is essentially a shared inheritance, whose fruits are meant to benefit everyone.” As billions of people are excluded from any kind of food security or housing, so too are they the ones who face migration in the face of severe climate events, he points out. The Pope tells us that “the ecological crisis is also a summons to profound interior conversion.” Our home is in jeopardy of being destroyed. We need to have an integral approach or ecology that embraces our common lands, our cultures, and people living in poverty. “I am interested in how such a spirituality can motivate us to a more passionate concern for the protection of our world,” the Pope explains. He asks us to educate young people and create a covenant between humanity and Nature. 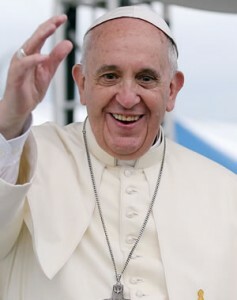 Please see tinyurl.com/laudato-si-2015 for some of Pope Francis’ most interesting statements regarding our planet. Pope Francis asks us all if we are doing enough to enshrine in government and ourselves a covenant of goodwill towards the natural world. Biodiversity, as the Pope states, is at the mercy of human intervention through a misled understanding of perpetual growth and hyper-consumerism. Inaction on climate has taken on strong ethical dimensions. Justice for the poor and justice for nature demands an empathic response immediately. General stores and markets have always functioned as places of local commerce, but they are much more than that. Indeed, there is a palpable desire in small towns and villages to bring people closer together as the world’s stage becomes more threatening. Recently I paid a visit to two unique stores that provide an unparalleled service at the very heart of their communities. You can still see the names of boys and girls etched in the bricks of the Kimberley General Store going back a century. In the last four years this little gem has come back to life with gusto as the vision of the owner, Stacie Howe, has come to fruition. Whether you are a resident of the Beaver Valley, a tourist driving by, walking the Bruce Trail, cycling or downhill skiing, the friendly staff encourage you to feel at home. You only have to go up the wooden steps onto the patio and peer through the large original windows to know that not much has changed since the store first opened its door in 1905. The prerequisite wooden floor, large lighting fixtures and high ceiling (which will be getting an original tin finishing soon), the wood stove in the corner, heaps of vegetables from local farmers in the spring, summer and fall, and homemade fare from pies, sandwiches, and butter tarts to locally crafted chocolates make for a cosy setting for this colourful, community-oriented store. In 2015, Kimberley General Store more than lives up to the expectations of a store at the turn of the twentieth century: it has all the essential provisions – and much more – that a self-reliant community would have needed to get by before the automobile made it possible to go over to a larger centre such as Collingwood to shop. Like all general stores it sells flour, tea, eggs, milk and other staples, but it also boasts a variety of locally made frozen entrées, cheeses and yogurts, ice cream, hats, bird seed, soaps, essential oils and kitchen needs, all in a small space with a warm and welcoming ambience. On certain days of the week home-cooked foods such as soups, cinnamon buns and pizza are also available. There are delightful and quirky presents to buy and engaging books to read, and an excellent array of teas and locally roasted coffee to enjoy while you peruse one of the daily newspapers. A catering service is also available. Now that the store has bought the adjoining land and built a covered patio, Stacie believes more people will be coming by to shelter in inclement weather and sample the new pizzas with such enticing names as Mamma Mia, Cherry Bomb and Smokey Delight that come out of the wood-burning oven on Friday nights. The store is located in the village of Kimberley, 235304 Grey Road 13, in the centre of the Beaver Valley, 30 minutes from Collingwood and 20 minutes from Thornbury. For more information and store hours see www.facebook.com/KimberleyGeneralStore or call 519 599 3451. The little hamlet of Ravenna hasn’t changed much since the Walter family arrived in the 1840s and the following generations kept it thriving. Although it is only 15 minutes from Collingwood and Thornbury, the elevation of the land, the proximity to Kolapore Wilderness and the pure farming character of the place make it still feel that Ravenna hasn’t yet joined the twenty-first century. After you ascend from Georgian Bay on Highway 2, it is gratifying to see a welcoming sign inviting you into Ravenna Country Market. At first sight or even after looking at a map it may be hard to believe that a store that is located in such an out-of-town place could find such a following of people prepared to make the windy journey. For most of us who do, it is exactly what we wish to find: an oasis of plenty and good cheer. 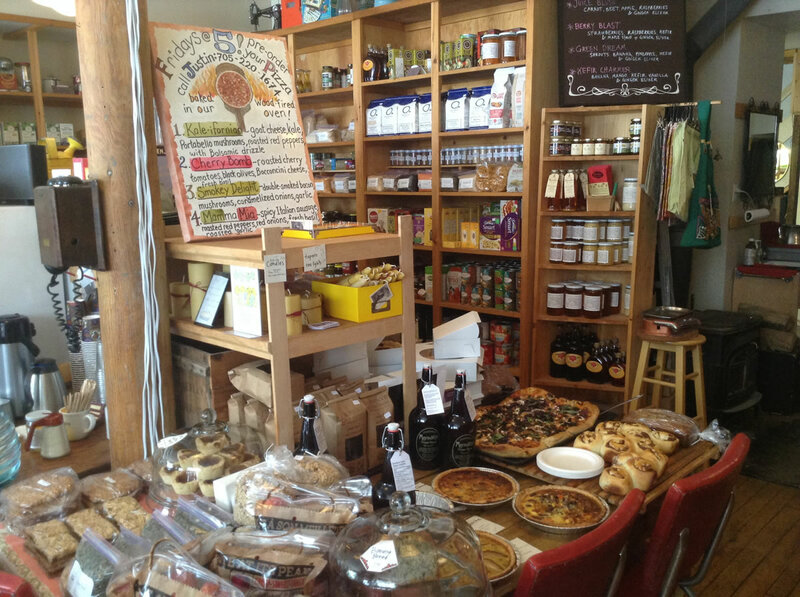 Perhaps an energetic bicycle trip or a car ride out to the country makes those pies and soups even more enticing, but whatever the reason for dropping by, the market is a resounding success. 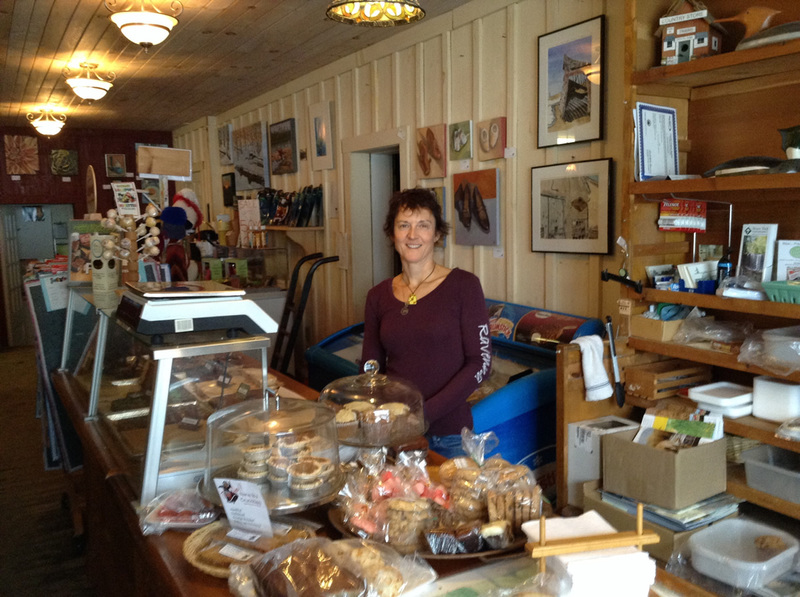 My visit on a Sunday in February found the store bustling with people sitting down for soup and sandwiches as well as others coming in to choose from the wide assortment of pies and other baked goods for sale. It is clear that the market’s customers are interested in having high-quality food, whether to eat in or to take home with them. There is an impressive range of gourmet frozen entrées, all made on the premises, such as goat cheese stuffed chicken, braised beef short ribs, salmon fillet, Sicilian meat loaf, osso bucco and lamb shanks. The menu changes weekly. These takeaway meals are the mainstay of Ravenna Country Market. Happily, vegetarians will also find a good selection there. 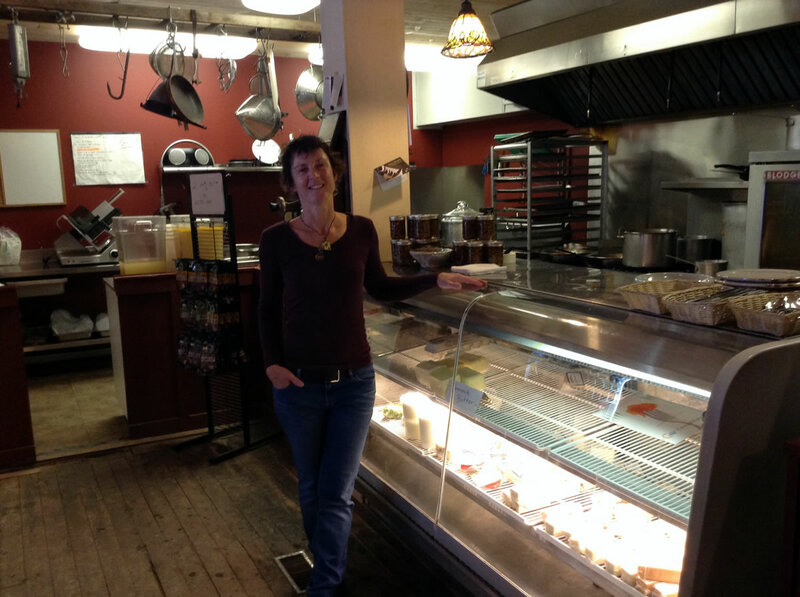 Monica Wolf, who is co-owner of the market with Roy Genoe, gave me a good insight into how the store has evolved since she and Roy bought it in October 2009. Besides carrying out a top-to-bottom renovation of the space itself, the owners have kept up with the need to expand their business to cater for an ever-widening spectrum of visitors. This spring and summer will find many more places to sit outside to accommodate the hundreds of cyclists who stop to have a drink and something to eat. Monica described to me their plan to have freshly pressed vegetable and fruit drinks available. Besides home-cooked foods, there is a colourful assortment of local jams, honey, maple syrup and even clothes for sale. Monica and Roy also offer an extensive catering service for both large and small events. The market is located at 495972 Grey Road 2 and is open seven days a week. For more information, visit www.ravennacountrymarket.ca or call 519 599 2796. 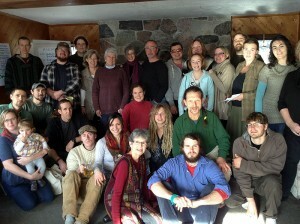 Nova Scotia Permaculture is pleased to announce the following summer classes. It is a great opportunity to learn the basics of permaculture design over 8 weeks. We are once again offering a PDC on a work trade basis(no fee, no stipend) over a period of six(minimum, if you just can’t stay eight) to eight weeks(which we favor), running through June to the end of July, and will repeat it in September/ October if we get firm sign up commitments.We are limiting the course to a maximum of five, so don’t hesitate too long in signing up. Pretty close to full attendance will be required to receive a PDC certificate. This will be a very hands on experience, including smaller design projects on the site, general farm work(chores, goat milking, hay making, maintenance etc) helping/cooking in the kitchen, as well as substantial market gardening time. (You can learn a lot just by walking around here. )This will be balanced by classes, presentations(some by you!) and field trips, as well as time doing design projects. Although the schedule will be intensive, especially with the long days of summer,there will also be time for personal study/ reading, and at least one free day per week. We will provide food and lodging, though if you have specialized dietary requirements(we’re omnivores, and 98% of the meat is from here), that will be your own responsibility. We are mostly interested in self-motivated folks with some work experience(some basic knowledge of hand & small power tools very useful), although attitude and willingness count alot too. We will ask that you leave your cell phones and earphones/ipods behind while were working or studying together, so be fully aware of that, please. Further details/ info will come later in the process, and you can read our MOP internships page for further details. In early December fourteen people from the Meaford and Beaver Valley area came together to continue to work on making their community a healthier and more self-reliant place to live. I had attended a meeting of Transition Meaford two years previously and found that there is a growing interest amongst the townspeople in creating a more engaged society so that people and the rest of Nature can flourish. 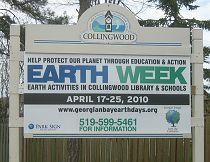 In 2013, Meaford Council adopted the recommendation by Transition Meaford to have an Earth Week. This took place in April 2014, beginning with a spring clean-up at Memorial Park, and ending with a Re-use Fair. Lindy Iversen and other Transition Meaford people were on hand to volunteer. The tradition will continue in 2015. Transition Meaford has been involved in a number of other projects. The group has played a significant part in the community garden at the high school. Films for Thought was set up to promote greater awareness of social justice and ecology around the world, through screenings of films that gave the community insight into ongoing struggles related to food, water, community design and waste. 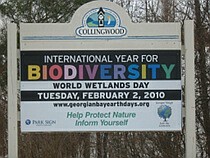 The Bee and Butterfly Habitat Initiative brought to the forefront the plight of our pollinators. How did the Transition movement come about? Back in 2005 people in Totnes, UK began to ask themselves how they could thrive in the face of climate instability and oil scarcity, and thus the first Transition Town was born. The vision of a resilient community that could support itself culturally and agriculturally despite the problems raised by these twin threats inspired the Transition Network, which has spread within ten years to encompass the world. By not having any political affiliations the movement has been able to gain the trust of entire communities. This has led to close working with all segments of society. Several towns and cities now have their own local currencies, which encourage their communities to buy locally produced goods and thereby recycle their money to keep their own businesses vibrant. The benefits come full circle. The city of Bristol, in Britain, even pays its mayor in Bristol Pounds! Having a local currency has fostered a deep sense of trust in the community. Bristol has now won the prestigious award of European Green Capital 2015. Please visit www.transitionnetwork.org to learn more about the Transition movement. Kimbercote Farm is located on a hill that looks down on the Beaver Valley and beyond. For the past 40 years it has provided physical and spiritual space for people to grow. It’s brochure describes the Farm as a “Centre for social and environmental justice in the heart of the Beaver Valley”. The Farm’s 110 acres has provided the Georgian Bay and Southern Ontario communities with a unique opportunity to experience a country setting for events, retreats and a vast array of discussions that take place because of the dedicated volunteers who have kept Kimbercote alive and well with their creative zeal for four decades. Although the focus of the Farm’s activities may have shifted through the decades social justice has always been the bedrock for all its charitable not-for-profit work. As the meaning of social justice has expanded in the last 40 years, so has inclusion of nature stewardship become more important to the Farm. Gardening, permaculture, forest ecology programs, the truly hands-on efforts by Sticks & Stones Wilderness School plus Headwaters Gathering groups have put new meaning into conservation education and practices in sustainability. And so Kimbercote has championed and nurtured aboriginal culture, organic agriculture, faith/spiritual groups, children, families as well as men and women’s retreat groups. The farmhouse has been the key to letting the Farm host year round 25 guests at a time plus tents. The Annual General Meeting on December 7 brought out 60 individuals of all age groups. No one has ever seen such a large group come out to such a meeting at the Farm. Kimbercote Farm is in financial trouble but it is not without its friends. This place means a great deal to many people. This year’s AGM brought out the people for the love of a Georgian Bay community icon. The usual AGM business of voting in board members was not the focus of the meeting so much as an inspired discussion on the future for the charity. Although the current debt is quite small fewer groups are renting the space in an ageing farmhouse but the maintenance of the facilities keeps on growing. The members attending the meeting were asked to have small discussion groups and write out their suggestions to be presented to the new board of directors who will then make the critical decisions as to the Farm’s future. Three proposals were given to the group. Naturally the community wishes to see a vibrant and financially secure future for the Farm. Thoughts of renting out the farmhouse on a yearly lease, seeing the sale of some acreage to conservation groups and having Sticks & Stones Wilderness School play a more active role in programming may be the starting point for the end of the charity’s woes. The other option spells the sale of the land and basically giving the money to like-minded foundations. The new Board’s occupation will be one of courage and vision. We wish them wisdom. It is more than just putting into place short term financial solutions. Kimbercote’s core community needs to now put into play the creative ideas and passion to bring it to 2050. That the UN Secretary-General, Ban Ki-moon, came to the People’s Climate Rally in New York and walked with conservationists such as Jane Goodall is unprecedented. (Please see www.peoplesclimate.org and https://vimeo.com/106898420) Although the walk I attended consisted of just 20 people in a small town, those same people vowed to meet regularly, and the next gathering was held just a week later to discuss how to engage the people who are most vulnerable to climate instability: those aged under 30. The Climate Summit at the UN on September 23rd brought world ‘leaders’ to the table in order to establish a renewed action plan to combat climate instability. Only a few heads of state did not show up. 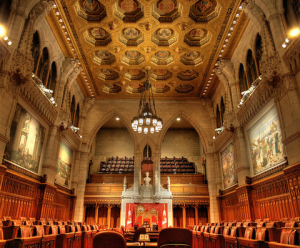 On September 22nd Parliament’s Question Period was spent trying to find out why Stephen Harper was not going to attend the UN Climate Summit. Instead of giving a direct answer to the opposition party’s request, a government MP read out prepared bureaucratic statements that gave false accounts of Canada’s current scientific efforts in reducing greenhouse gas emissions. This was on the day after more than 600,000 people, including many First Nations Canadians, marched for climate action. Please see http://thetyee.ca/Video/2014/09/25/Idle-No-More-Organizers-At-NYC-Climate-March/. The closest march to Collingwood and Meaford took place in Owen Sound. This Canadian government is the only one in the world that has withdrawn from its treaty obligations described in the Kyoto Protocol. Recent scientific analysis shows that CO2 is rising faster than it has in nearly 40 years, but of course this prime minister was not going to appear at a summit that calls for fundamental reductions in CO2 emissions. He and his caucus are completely blinded by oil revenue. Climate change will ravage this nation’s economy, our biodiversity and the people of Canada within less than 100 years. The largest climate march in history was meant to finally kick-start the world’s rebuff of fossil-fuel usage. Be part of that solution and divest your fossil energy stocks. Although the summer is coming to a close, there is still time to sit down in a comfortable chair or by the Bay to enjoy, as well as be inspired by, two books that might be the very bridge to take you into a happy autumn. This summer I was fortunate to have spent three days with one of the world’s finest spiritual/eco writers and activists, Satish Kumar. I had followed Satish’s work in Resurgence & Ecologist magazine, and when I had the opportunity to be part of a small gathering that included Satish it enabled me to further understand the depth of his thoughts regarding our planet. Born in India 78 years ago he left his family when he was 9 to spend 9 years living in a monastery. Inspired by Gandhi’s vision of peace and non-violence he walked penniless for 8,000 miles to deliver the message for a nuclear-free Earth. 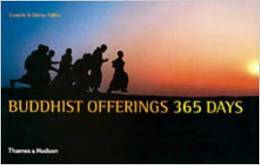 Satish’s deep interest in Buddhism is reflected in his vast writings and discussions. 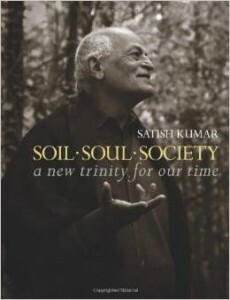 “Soil, Soul, Society: a new trinity for our time” is his latest book to help turn a world away from violence. By expanding the notion of non-violence between people (Society) to embrace the Earth community (Soil) as well as the individual’s spiritual life (Soul), Satish is able to do something quite remarkable: all of life is brought into a sacred covenant to pursue happiness. Speciesism, or the assumption of human superiority and dominance over other species, the author reminds us, has brought us to the crises we now find ourselves facing. Reminding us that we are part of a benevolent universe that gives freely to support life, Satish relates how he gently confronted modern western society’s vision of globalization when he was invited to speak to the students of the London School of Economics. Often western society believes that business is the salvation for this planet, but by doing so it forgets the very foundation for business to take place: ecology. We learn that ecology is not taught at the LSE, and so Satish asked that the school be renamed the London School of Ecology and Economics to reflect a healthy curriculum. The world’s population passed 5 billion on July 11, 1987. The UN decided in 1989 to have an annual discussion regarding human population issues, but the UN is reluctant to spell out the multitude of dangers that comes with an out of control population. In many parts of the world birth control is a taboo subject, and the UN tries to get around this by often portraying the population crisis as solely a social justice issue, which in part it is, but it is far from the whole picture. What is a key driver for over consumption, food and water scarcity, climate change, biodiversity loss, mass migration, impoverishment of lands and oceans, war and human poverty? Population is a key driver and the stabilization and steady decrease in births will determine whether or not civilization will survive by the end of this century. See Paul Ehrlich’s “Can a collapse of global civilization be avoided?” at the Proceedings of the Royal Society. In 1810 there were 1 billion people on the planet, 2 billion in 1930, 2.5 billion by 1950, and in 2011, 7 billion humans inhabited the Earth. Every day 227,000 people are added to the planet’s population or the equivalent of Toronto’s population is born every 13 days. By 2050 demographers project the world’s population to be over 9 billion humans. Many times a rising population is the rationale behind the arguments given by biotechnology companies for their products: the world needs their pesticides and their seeds to feed the world. Two billion hungry people may disagree, and by making it increasingly more difficult for the poorest people to harvest their own seeds, these multinational corporations are further raising food prices as well as the spectre of mass starvation. Many bee populations are disappearing because of those products. It is not only the poorest countries that can least afford population gains. Britain is in deep trouble. Britain is half the size of France yet it has the highest fertility rate in Europe. Rising carbon dioxide levels fueled by an ever increasing world population is already causing unprecedented flooding, making it more difficult to farm and to find enough land to build more homes. North Americans have the largest carbon footprint on the planet. Having fewer children and a vegetarian diet will make a huge difference to that footprint.